Taking anything for granted, both on and off the ice, has never been and will never be an issue for one of the game's grittiest defenceman. Nick Boynton, Boston's first pick, 21st overall, in the 1999 NHL Entry Draft, has certainly had his fair share of good times and bad at the big-league level, ranging from playing in the All-Star Game, to being sent to the minors to hoisting the Stanley Cup. But through it all, highs and lows, the 31-year-old has remained on an even keel, grateful for the successes and appreciative of the opportunities that have enabled him to appear in nearly 550 NHL games. Boynton, who played his first full NHL season in 2001-02 and registered 18 points and a plus/minus rating of plus-18, enjoyed his best offensive campaign with Boston in 2003-04, when he posted 30 points. He made his presence known outside of North America, in England, during the 2004-05 NHL lockout. Boynton played for the Nottingham Panthers of the British Elite Ice Hockey League, netting the equalizing goal in the British Championship Grand Final. 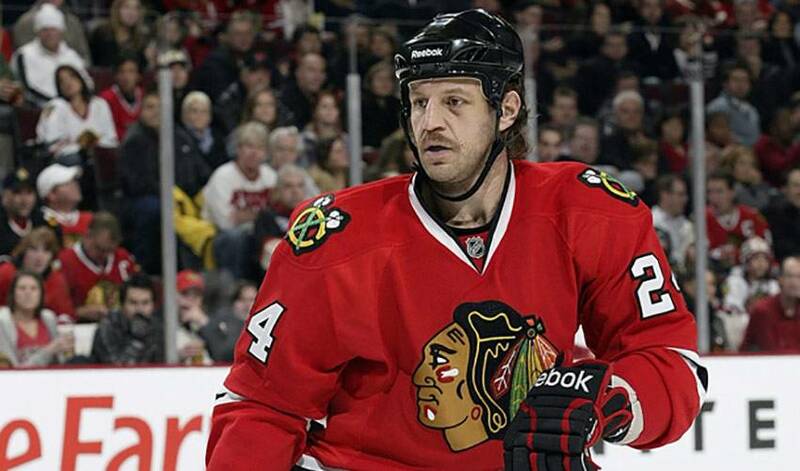 On June 26, 2006, he was traded to the Phoenix Coyotes in exchange for fellow defenceman Paul Mara. Boynton's knack for clearing the net enabled the former Ontario Hockey graduate to become a valued member on the Phoenix blueline corps. After two seasons with the Coyotes, Boynton was traded at the 2008 NHL Entry Draft, along with Keith Ballard and a second-round pick, to the Florida Panthers for Olli Jokinen on June 20, 2008. In the 2008-09 season, Boynton posted 21 points in 68 games for the Panthers. One season later, though, Boyton had to contend with his most tumultuous campaign to date, a year that saw him suit up for a total of four squads in two leagues: the Manitoba Moose and the Rockford IceHogs of the American Hockey League, and the Anaheim Ducks and Chicago Blackhawks. After appearing in 42 games with the Ducks, Boynton was placed on waivers on February 1, 2010. He was then assigned to the Manitoba Moose. One month and one day later, Boynton was traded to the Chicago Blackhawks, then was subsequently assigned to their AHL affiliate, in Rockford. He was later recalled by the Blackhawks and made his debut in a 4-2 loss to the Ducks on March 17. A rocky year, one that certainly had more question marks then solid answers, ended in style for Boynton, when, on June 9, he won his first Stanley Cup with the Chicago Blackhawks. That's evident in Boynton's giving nature, a player who works equally hard away from the rink, someone who understands the importance of giving back to the community. As Boynton insists, his commitment to the community is extremely rewarding. Taking time to lend a hand to charitable endeavors, he says, is a welcome opportunity to forget about wins and losses for a moment. As for why NHLPA members are seen as some of the most giving athletes in sport, Boynton is not quite sure. “I've never really understood why it is,” said Boynton, who scored his first goal on October 4, 2001, the night the Bruins retired Raymond Bourque's sweater number 77. “It might have to do with the way we were raised.” Still, it doesn't make it any easier when he sees, first-hand, the difficulties others must cope with on a daily basis. Most would say the very same about one of hockey's many good guys.